Short-range Reader (less than 0.8 meter) transmitting at 125kHz and receiving at 6.78 MHz. 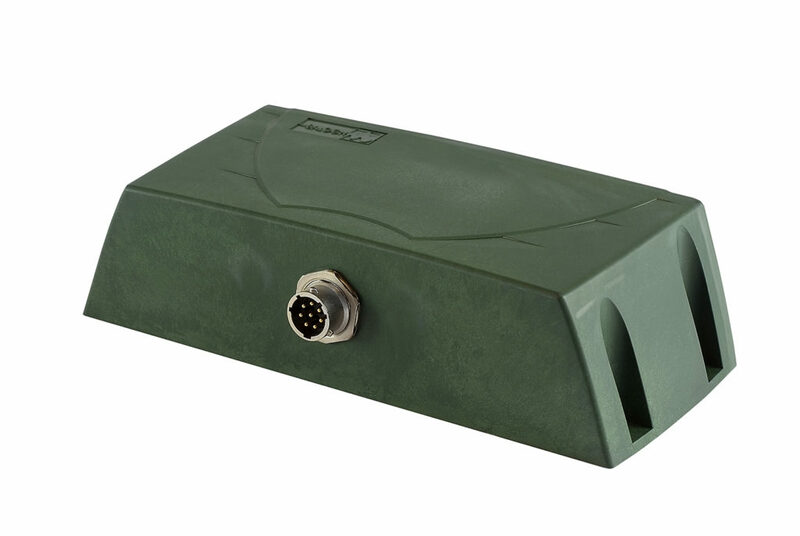 The MOL 81 is a short-range transceiver, specially designed for railway applications (Accurate Train Location, Detection on crossroads, Passengers Information, Depot Management). An all-in-one machine with an integrated antenna, it will most often be used for onboard equipment which is placed on the outside under the mobile body, to read, “on the fly”, the contents of the OMR-type radio frequency identification tags, placed along the track between the rails.